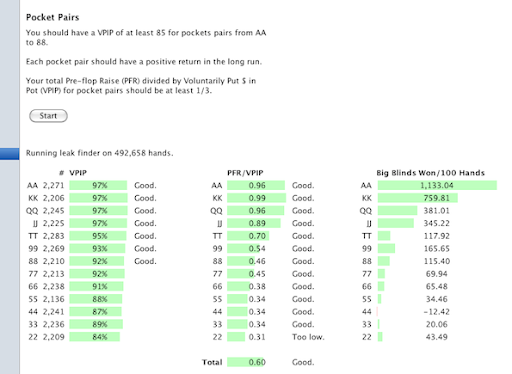 The next Poker Copilot update will have a “Pocket Pairs” leak detector. Like all the leak detectors, the “Pocket Pairs” leak detector is based on the classic 2+2 post How to Use Poker Tracker. Instead of you having to manually work the Poker Copilot filters and analyse the results, the leak detectors do this for you.